The BPHS Braves’ Entertainment Corps has set up a public calendar. This calendar includes the official band year calendar plus additional events, meetings, and social happenings throughout the year. By subscribing to the Charms Calendar you will receive automatic updates on your Desktop or Phone as activities and dates are added throughout the year. Click here to subscribe automatic or follow the steps below. If your device or program is not listed above, you may still be able to add the Baldwin Park High School Braves’ Entertainment Corps. calendar by bookmarking this calendar and adding it as an internet favorite. The BPHS Braves’ Entertainment Corps has set up Google Calendars to use as the public calendar. This calendar includes the official band year calendar plus additional events, meetings, and social happenings throughout the year. By subscribing to the Google Calendar you will receive automatic updates on your Desktop or Phone as activities and dates are added throughout the year. 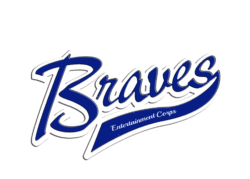 Android phones – You can view the Baldwin Park High School Braves’ Entertainment Corps. calendar on your phone by adding it as a shared calendar on a Google account that you have set up on your Android phone. Log onto your Google account; go to Calendar; Click on “Add” under Other Calendars; Choose “Add by URL”; Copy the URL below and click “Add Calendar.” The Baldwin Park High School Braves’ Entertainment Corps. calendar should now appear on your phone. Google Calendar – To view this when you log into Google along with your other Google Calendars, log onto your Google account; go to Calendar; Click on “Add” under Other Calendars; Choose “Add by URL”; Copy the URL below and click “Add Calendar.” The calendar should now appear. Outlook – With Outlook open (requires Outlook 2007 or 2010) click on the link below and follow the prompts to subscribe to the calendar. Note that you need to click on “Send and Receive All” for the calendar to initiate and to update the calendar in the future. (Please note that Outlook may on occasion indicate an error related to unsupported event properties – These errors indicate that some features of the calendar are not supported by Outlook, but they can just be ignored as they will not affect the functioning of the Baldwin Park High School Braves’ Entertainment Corps. calendar).